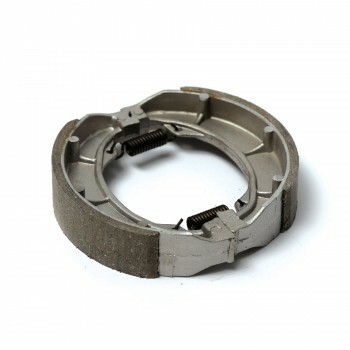 Chimera Unlimited GY6 rear drum hub for 125cc and 150cc long case engines. Chimera Unlimited GY6 rear drum hub will allow you to attach most bolt pattern rims on the market! To make things simple, 4 out of 5 bolt pattern holes are drilled to M12 and tapped to 1.5mm thread pitch, allowing the end use to install thread in studs or lug bolts. To ensure proper lateral distribution and centering of the rear rim, a 68mm diameter centric hub was added to the center of the hub. 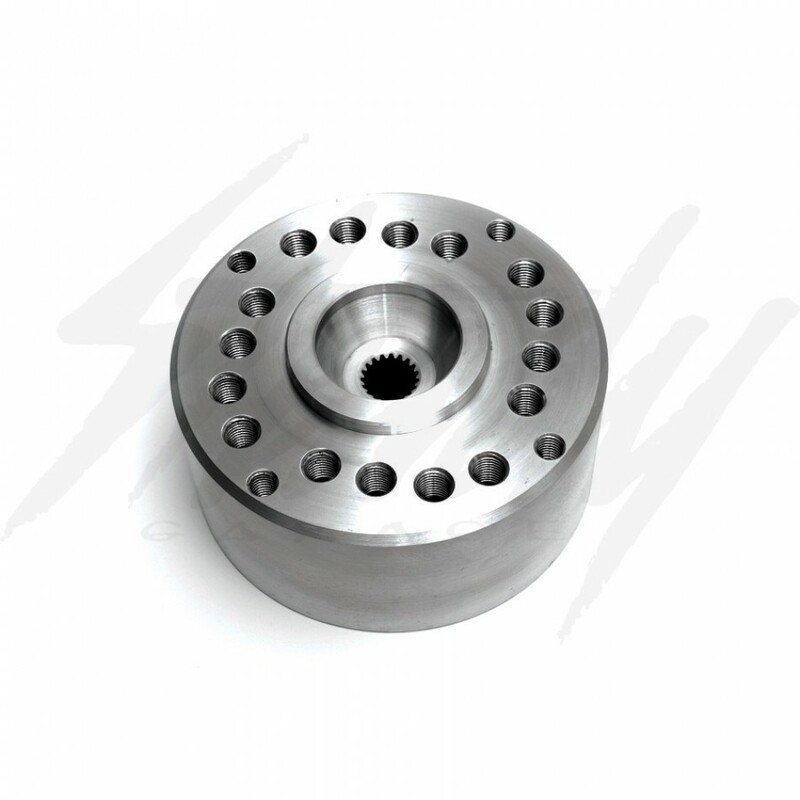 Machined from T-6061 aluminum with a steel brake lining pressed in. Ideal for 5", 6", 7", 8", and 10" wide rear rim! 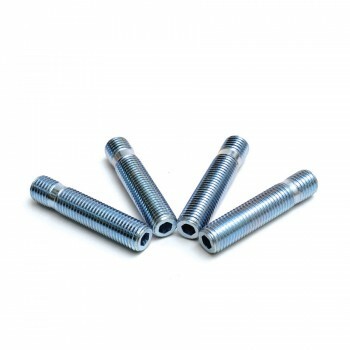 Bolt patterns: - 4x4 (4x101.6) ~ M12x1.5mm - 4x100mm ~ M12x1.5mm - 4x110mm ~ M12x1.5mm - 4x115mm ~ M12x1.5mm - 4x130mm ~ M10x1.5mm Chimera Unlimited GY6 rear drum hub is designed by the originator of the Universal GY6 Drum Hub.